4/29/16 FYSF, Win a BestBottoms Mod Kiwi Cover and (2) Inserts! 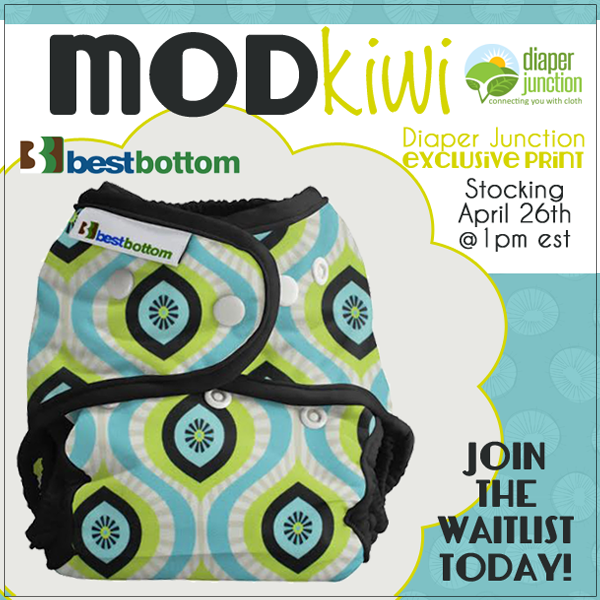 We're super excited to let you all know that our latest exclusive print, Mod Kiwi from Best Bottom Diapers is the prize for this week's giveaway! Mod Kiwi, our newest exclusive print from Best Bottoms, is in-stock! We're super excited to let you all know that our latest exclusive print, Mod Kiwi from Best Bottom Diapers has stocked and is ready to ship to your door! 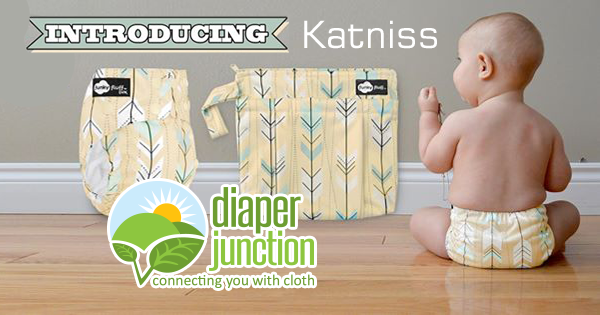 Funky Fluff's Katniss has stocked at Diaper Junction! New from Funky Fluff is a gorgeous new print appropriately called Katniss! Whether you're a Hunger Games fan or just a fan of this color scheme and theme, this great new print is a must have! 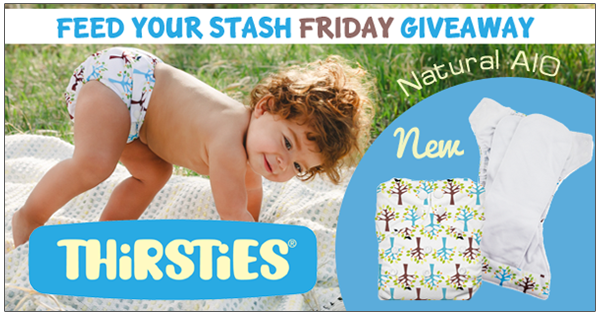 4/22/16 FYSF, Win the NEW Thirsties Natural OS AIO Cloth Diaper! A brand new product stocks soon from Thirsties USA Made Cloth Diapers. The Natural OS AIO is sure to be a big hit and we can't wait to get our hands on this new product. We're so excited that we're going to give you a chance to win one for yourself before they're even available for sale. Earth Day Savings: Double Points, Free Shipping, Up to 20% off and more! 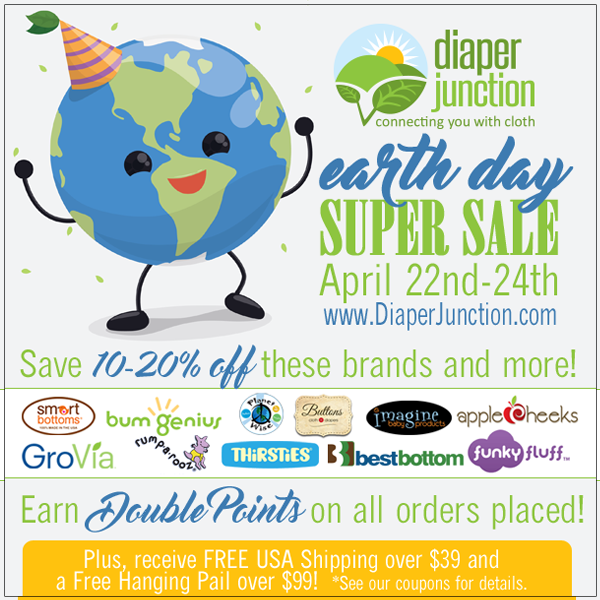 This year's Earth Day Sale at Diaper Junction is EPIC! Sale begins today Friday, April 22, 2016 at 10am Eastern time and runs through Sunday, April 24. Earn DOUBLE POINTS all weekend long, receive Free USA Shipping over $39, Up to 20% off select brands and use code PAIL99 to receive a FREE Hanging Pail when your order totals $99 or more! New BestBottom and PlanetWise Limited Edition prints just stocked! Meet our TWO newest limited edition prints! Little Miss and Pit Stop are playful new prints that are sure to catch your little one's eye! 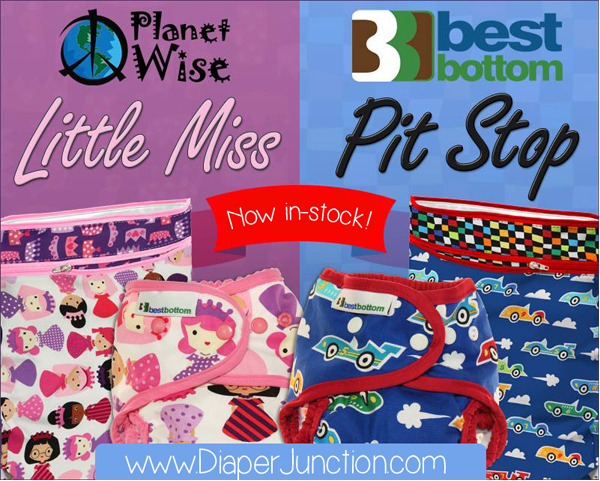 We have stocked both Pit Stop and Little Miss in both the Planet Wise Wet/Dry Bags and BestBottoms One Size Diaper Covers. Buy the one you like or buy the pair so you'll have the set! 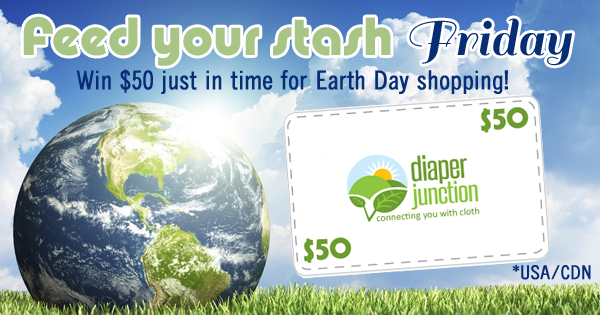 4/15/16 FYSF, Win a $50 Gift Certificate to spend on cloth diapers! The lucky winner of this week's FYSF Giveaway will receive a $50 Gift Certificate to spend just in time for Earth Day sales! There's no better time to invest in cloth and switch to reusables than Earth Day weekend. Smartbottoms NEW Rescue print cloth diaper has just stocked! Whether you have a fireman in the family or not, this firetruck themed cloth diaper print is adorable and must-have for your cloth diaper stash. Rescue will be a new standard print for the Smartbottoms line and we have it in stock in Born Smart, Too Smart and Smart One diapers. 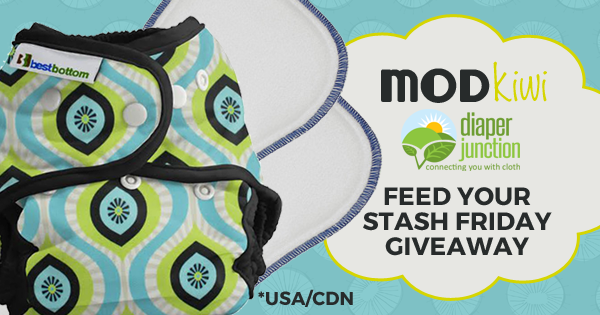 4/8/16 FYSF, Win a GroVia Swim Diaper & Zippered Wetbag! This week's giveaway is perfect for summer! 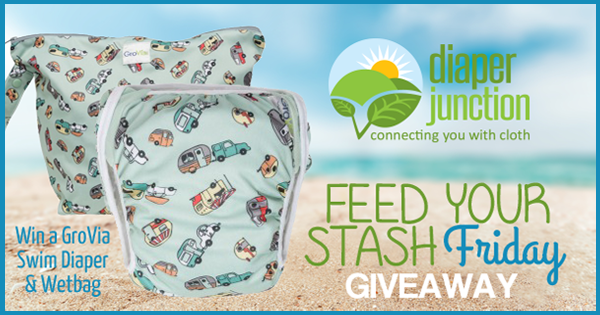 Enter to win a GroVia Swim Diaper and Zippered Wetbag in the prints of your choice. The NEW GroVia Swim Diaper is a fairly new product and has been extremely popular since it's launch. Buttons and Rosebud from Buttons Diapers stock Monday April 11th! Are you a huge fan of Buttons Diapers? 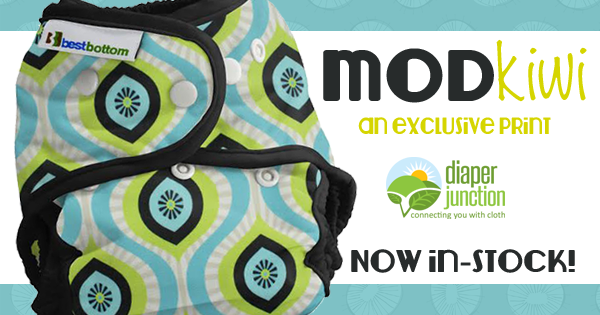 If so then you'll be excited to know that Buttons Diapers newest prints are stocking at Diaper Junction on Monday April 11th! Mod Kiwi Stocks April 26th! Join our WAITLIST today! Have you seen our newest exclusive cloth diaper print? This amazing retro print is appropriately named MOD Kiwi and we think it's amazing. Fun colors, shapes and contrasts will make this MOD print a great addition to your already colorful stash! 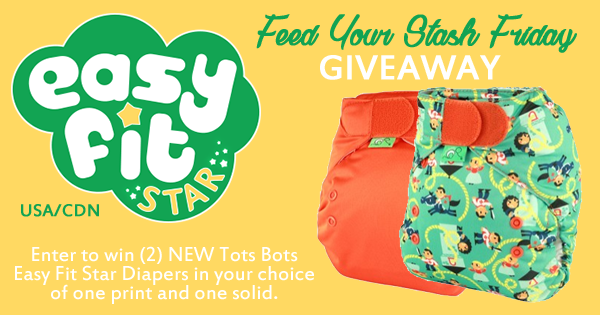 4/1/16 FYSF, Win (2) Tots Bots Easy Fit Star Cloth Diapers! Enter to win one of the newest diaper styles to stock here at Diaper Junction, the Tots Bots Easy Fit Star! This convenient to use and great fitting diaper will surely become the STAR of your cloth diaper stash and you will LOVE the adorable new storybook prints available. Rapunzel, Elves Shoemaker, Goats Gruff, Ugly Duckling and others will add a variety to your stash that you'll enjoy.